While most vaccinations carry many more benefits than risks for the patient, vaccine law specialist Leah Durant knows that, as with any medication or medical procedure, there will always be some degree of risk involved. 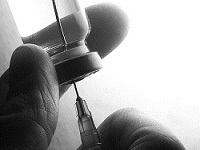 In most cases, the side effects associated with vaccinations are mild and temporary, involving symptoms such as fatigue, dizziness, or slight pain or irritation at the site of injection. However, in some rare cases, a vaccine injection can bring with it much more serious consequences. Vaccines have been associated with neurological conditions such as Guillain Barre Syndrome and acute disseminated encephalomyelitis, seizure disorders, encephalopathy (brain injury), allergic reactions, blood disorders, shoulder injuries, immunologic disorders, and others. These and other serious potential injuries associated with vaccinations can prove life-altering or, at times, even deadly. This is why Leah Durant and her firm specialize in vaccine litigation. The Law Offices of Leah V. Durant, PLLC exists to assist individuals with claims of serious injury as a result of receiving a vaccination. The Vaccine Injury Compensation Program, or VICP, is a result of the National Childhood Vaccine Injury Act of 1986. Two years later, in October of 1988, the VICP was established in order to ensure both stable costs for, and an adequate supply of, vaccines. In addition, says Durant, the VICP also established and now maintains an efficient and accessible forum for all individuals who are found to have been injured by certain vaccines. As a no-fault alternative to the traditional tort system, the VICP resolves vaccine injury claims through the provision of appropriate compensation to individuals with certain injuries. The United States Department of Justice and the United States Department of Health and Human Services both play important roles in the VICP, reports Durant, but the United States Court of Federal Claims ultimately decides who will be paid. As vaccine litigation attorney Leah Durant reports, the very first claims made under the Vaccine Injury Compensation Program occurred in 1988. Since then, more than 3,400 awards have been made by the program in compensation. Of these payments, more than $106.1 million was granted to cover legal costs and attorney fees, while over $2.6 billion was awarded directly to the petitioners themselves. For those who believe themselves to be victims of personal injury resulting from a vaccination, the VICP provides a fund for patient compensation in the form of the Vaccine Injury Compensation Trust Fund. This program, Leah Durant reports, is funded by an excise tax on most major vaccinations recommended by the Centers for Disease Control and Prevention. Those injured individuals seeking compensation awards from this fund must first file a claim which can prove confusing or intimidating to some individuals. To lessen this confusion and intimidation, Leah Durant answers some of the most frequently asked questions about vaccination compensation claims below. Who Is Eligible to File a Claim? An individual who is acting as the legal representative of the estate of a deceased person whose death is thought to be linked to their receiving one of these covered vaccines. How Does Filing a Claim Work? The claim itself, Durant continues, is filed in the United States Court of Federal Claims. From here it is adjudicated by Special Masters from the Court. Representation by an attorney is highly recommended because the cases are complicated both medically and legally. The procedures for prosecuting a vaccine claim are unique and often confusing to non-lawyers.